This smoothie is as delicious as it is vibrant! It is packed full of antioxidants to help reverse and prevent aging and it contains some of the most powerfully healing foods on our planet, including the number one most nutritionally dense food in existence—wild blueberries! This smoothie gives you a great way to use wild blueberry powder so you can harness its nutrients and healing benefits, or for when you are not able to access fresh or frozen wild blueberries. Cherries are the ultimate liver tonic, cleanser, and rejuvenator. Cherries promote healthy hemoglobin and are also anti-cancerous, specifically effective at addressing non-Hodgkin’s lymphoma, melanoma, and glioblastoma (a type of brain tumor). Cherries sharpen the mind by purifying the bowels—they’re better at alleviating constipation than prunes! Bananas contain powerful anti-fungal and antibiotic compounds as well as protease inhibitors which can help stop viruses in their tracts. Bananas are also particularly good for lowering blood pressure, irritable bowel syndrome, neurological disorders, diarrhea, atherosclerosis, osteoporosis, coronary artery disease, chron’s disease, stroke, and kidney, colon, and lung cancers. Place all the ingredients in a blender and blend until very smooth. Pour into glasses and serve. This simple but beautiful combination of fresh peaches, blueberries and celery offers a delicious melding of sweet and salty, juicy and crunchy. Together these foods offer a wonderful and nourishing snack that’s a perfect support for your adrenal gland health. As I share in my book Medical Medium, it’s vital to graze every 1-2 hours on foods that have a balance of potassium, sodium, and natural sugar (from fruit, raw honey or carbohydrate rich vegetables.) You can find out more about this technique and why it’s so healing in Medical Medium. Blueberries are a nutritional powerhouse, loaded with antioxidants, vitamins, and minerals. These sweet and satisfying berries are excellent liver and blood cleansers, are useful in counteracting urinary tract infections, and are vital to the health of eyes and the digestive tract. Blueberries also have the ability to repair tissues and cells, strengthen the circulatory system, sharpen cognitive abilities, and keep the immune system strong. Consuming celery is the most powerful way to alkalize the gut. That’s in part because celery is high in bioactive sodium. It also contains cofactor micro trace mineral salts as yet undiscovered in research. These are varieties of sodium and other trace minerals (more than 60 of them) that are present in celery and work symbiotically and systematically with each other and with celery’s regular sodium to raise your body’s pH and rid toxic acids from every crevice of your body, including your gut. This process is ideal to cleanse and repair intestinal linings. Arrange all the ingredients on a platter or bowl. Serve immediately. Potato salad is a welcome addition to any lunch or dinner table, barbecue, picnic, or social gathering. This fresh and delicious spin on traditional potato salad not only upgrades the flavor, but also makes it a truly healing recipe that you can feel great about enjoying! It’s also very easy and simple to pull together and is great eaten right away or as leftovers. We hope you love this recipe! Potatoes are wrongly accused of contributing to obesity, diabetes, cancer, Candida overgrowth, and many other conditions, while in truth these miraculous tubers can reverse these illnesses. That’s right! Potatoes are actually good for people with diabetes, because they help stabilize blood sugar. The entire potato, inside and out, is valuable and beneficial for your health: potato plants draw some of the highest concentration of macro and trace minerals from the earth. Potatoes are also high in potassium and rich in vitamin B6, as well as a fantastic source of amino acids, especially lysine in its bioactive form. Lysine is a powerful weapon against cancers, liver disease, inflammation, and the viruses such as Epstein-Barr and shingles that are behind rheumatoid arthritis, joint pain, autoimmune disease, and more. Radishes are an immune system replenisher. When consumed, the sulfur in radishes repels any type of pathogen and acts as a wormicide to kill off intestinal worms and other parasites. The organosulfides in radishes also keep arteries and veins clean, creating a protective barrier in blood vessels so plaque doesn’t adhere to their linings. Radishes are incredible heart food, excellent for helping to prevent heart disease and other cardiovascular issues in part by increasing good cholesterol and lowering bad cholesterol. Meanwhile, the skin of the radish repels virtually every type of cancer, which makes these little root vegetables a go-to food for helping to prevent the disease. Dill is a great antioxidant and chemoprotective herb that is highly beneficial for viral, bacterial, yeast, and fungal infections, parasites, pain relief, sleep disorders, cancer prevention, and respiratory disorders. Dill is also regularly used as a digestive aid and can help reduce bad breath, acid reflux, flatulence, indigestion, and diarrhea. Place a medium-sized pot on the heat with a steaming basket and add two inch-es of water. Place the potatoes in the pot, cover and cook until soft, about 30-40 minutes. Drain and let cool. In a large bowl, combine the potatoes, radishes, peas and dill. Make the dressing by blending together tahini, water, lemon juice, dill, chives, salt and pepper. Pour the dressing on the salad and mix well. Don’t let the simplicity of this recipe fool you. Not only is it so delicious that it may very well become a daily staple; it’s also one of the most nutrient dense meals or snacks you can eat! Enjoy it for breakfast, a snack, a light lunch alongside a leafy green salad, or serve up a big bowl of this recipe for the whole family to enjoy over the day. Raw honey has the power to strengthen the immune system, promote digestive health, reduce throat irritation, stabilize blood pressure, calm nerves, heal ulcers, purify the blood, fight off colds and flu, soothe sore throats and laryngitis, and flush the kidneys. It is also great for digestion as it contains probiotics that help to keep the beneficial bacteria in the gut healthy and strong. Raw honey promotes restorative sleep and can aid in healing and rebuilding the body during the night. Place all the berries in a bowl, add the honey and mix until coated. Divide between bowls and serve immediately. 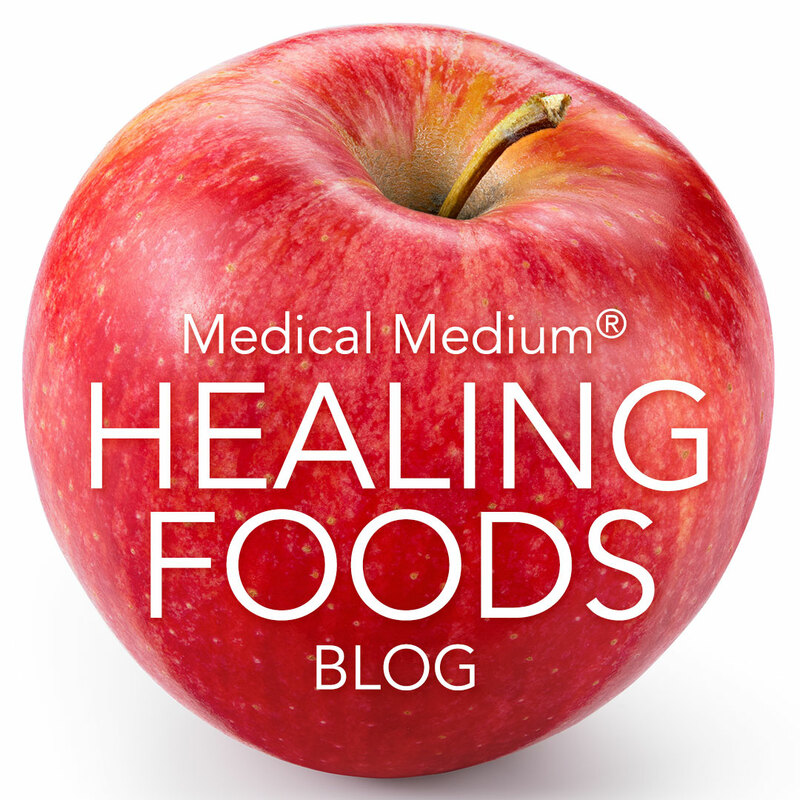 Looking for a fun and creative way to enjoy some of the most healing foods available this 4th of July or for any other holiday or celebration? These watermelon sparklers are fun to make, beautiful to look at, and even better to eat! Melon is one of the most alkalizing and hydrating foods. The fruit’s highly bioavailable and bioactive trace mineral count is responsible for driving electrolytes higher than normal, making them easily usable by the body. In return, the body’s detoxification processes become amplified, driving out traces of DDT, other pesticides, herbicides, and heavy metals from deep within the organs. High in silica, melon is an excellent food to restore ligaments, joints, bones, teeth, connective tissue, and tendons. Melon is also one of the most powerful glucose balancers, working to prevent insulin resistance and lower elevated A1C levels. Cut the watermelon into slices, about half an inch thick. Using a star-shaped cutter, cut the watermelon into stars. Set aside. Using a small melon-baller, make balls out of the canary and honeydew melons. Skewer the melon balls, alternating with blueberries and top with a watermelon star. If you wish to make the optional sparkler fairy dust, simply mix the lime zest and blonde coconut sugar together and sprinkle above and over the watermelon stars on the sparklers. This luscious wild blueberry soup offers such a fun, refreshing, and comforting way to get the unmatched healing benefits of wild blueberries into your diet. It tastes wonderful served cold in the summer or warm in the winter. I talk about the incredible healing properties of wild blueberries in all my books for good reason. As I share in my book Life-Changing Foods, “currently, wild blueberries are acknowledged by nutrition experts for their sky-high levels of antioxidants. It goes beyond that—they have the highest proportion of antioxidants of any food on the planet. On top of that, these tiny jewels have a plethora of undiscovered qualities. For one, they’re armed with dozens of antioxidant varieties that science does not yet know about, along with polyphenols, anthocyanins, anthocyanidins, dimethyl resveratrol, and as yet unknown cofactor adaptogenic amino acids. When you eat these berries, their innate intelligence reads your body, searches out potential disease, monitors your stress and toxicity levels, and figures out the best way to heal you—it is the only food that does that. One of the most effective heavy metal detoxing foods. Wild blueberries are also the most powerful brain food in existence, the most potent prebiotic there is, and a star at restoring the liver." In a large saucepan, bring the blueberries, water, lemon juice and zest and cinnamon or cardamom to a simmer. Cook for about 8-10 minutes, until the blueberries are looking soft. While the soup is cooking, mix the arrowroot powder with cold water and add it to the soup. Cook for another 2 minutes, until the soup thickens, then remove from the heat and let cool for 10 minutes. Stir in honey. Serve hot or chilled, with mint leaves for garnish. Leftovers keep in the fridge for up to 3 days. Bring back fond childhood memories of eating tater tots and other potato treats with this delicious and nostalgic recipe. A fresh spin on the traditional fried tater tots, this recipe calls for the tots to be baked versus fried, making it a healthy recipe you can enjoy in abundance. The addition of zucchini provides added nutrients without sacrificing flavor. This recipe is perfect for serving to children or as a fun finger food at social gatherings. Potatoes are actually one of the most powerful anti-viral foods and are an excellent source of B6 which is a vital component for the neurological system and for the creation of amines which are neurotransmitters that send messages from one nerve to the next. This makes potatoes an important food for those who are heavy thinkers and those recovering from stress damage and adrenal exhaustion. They are also particularly beneficial for insomnia, sleep disorders, brain fog, and stress related illnesses. Zucchini helps restore your liver and heal inflamed nerves caused by Epstein Barr Virus. They contain powerful anti-inflammatory compounds which can aid asthma, rheumatoid arthritis, and fibromyalgia. Zucchini is also known to be particularly beneficial for hypertension, diabetes, and edema. It also high in fiber and low in calories which makes it a great weight loss food and helps to reduce constipation and bloating. Place a medium-sized pot on the heat with a steaming basket and add two inches of water. Place the potatoes in the pot, cover and cook until soft but so that there’s still some resistance, about 1 hour. Drain and let cool completely. Preheat oven to 350F/180C. Grate the potato and place it in a bowl. Grate the zucchini, place it in a clean dishtowel or nut milk bag and squeeze out as much liquid as possible. Add it to the bowl with grated potato. Add the salt and dried oregano, then mix well and shape it to small cylinders. Place on a baking sheet covered with parchment paper and bake for 20-30 minutes, flipping half way. Serve with ketchup and enjoy! There’s nothing better than a truly refreshing and hydrating drink when you most need it. Now add incredible flavor and an abundance of healing properties into the mix and this Watermelon Strawberry Ginger Lemonade is a winner of a drink that you’ll want to make over and over again! Melons are predigested—meaning that melon flesh is so assimilable that our digestive systems barely need to process it when it enters the body, because it is so high in enzymes and certain coenzymes as yet undiscovered by science that strengthen them. The fructose in melon leaves the stomach in less than one minute, then the rest of the fruit drops directly into the intestinal tract, immediately fortifying and replenishing the body. Eating melon is like getting intravenous nutrient therapy. Watermelon specifically is known to significantly reduce inflammation, help flush out edema, aid in weight loss, and alleviate depression. Watermelon can also boost the immune system as well as strengthen vision. Strawberries are rich in antioxidants which boosts their ability to rebuild, repair, and rejuvenate the body. They also have high levels of phenols, which act as an anti-inflammatory, making them an essential food for those suffering from autoimmune disorders. They’re also loaded with Vitamin C they help to boost the immune system by warding off colds, flu’s, and respiratory infections. Ginger has antispasmodic properties that come from its more than 60 trace minerals, well over 30 amino acids (many of them undiscovered), and more than 500 enzymes and coenzymes all working together to calm reactivity. And as an antiviral, antibacterial, and anti-parasitic, ginger deserves all the accolades it gets for promoting a healthy immune system. Ginger is also ideal for stress assistance, DNA reconstruction, and enhancement of your body’s production of B12. Place all the ingredients in a blender and blend until smooth. Serve over ice. 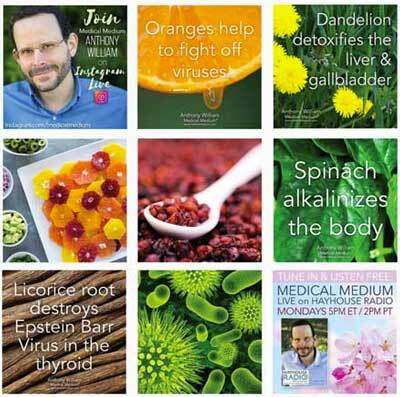 Learn more undiscovered healing benefits of foods in my books Life-Changing Foods, Thyroid Healing, & Liver Rescue. Ripe cantaloupe (also known as rockmelon) is delicious all on its own but turn it into a creamy, frosty smoothie with a touch of vanilla and cinnamon and you won’t be able to believe how indulgent it tastes! You will know your cantaloupe is ready to cut into when it emits a sweet and lightly floral aroma and it yields slightly to gently pressure applied to the skin. The rich vitamin A and beta-carotene content in cantaloupe helps to lower the risk of cataracts and aids in maintaining healthy eyesight. Cantaloupe also aids the body in excreting excess sodium, which helps to reduce water retention and bloating. Cinnamon has the highest antioxidant strength of all the food sources and is several hundred times more potent than any fruit or vegetable. Cinnamon is particularly good for helping diarrhea, nausea, vomiting, indigestion, flatulence, and arthritis. It is also very beneficial for lowering cholesterol and to help regulate blood sugar. Vanilla has a calming effect on the nervous system and is an effective treatment for anxiety and stress. The aroma of vanilla beans alone has been shown to increase feelings of relaxation and happiness. One of the major medicinal compounds in vanilla beans is called vanillin, which in small doses is known to greatly aid digestion, decrease headaches, and provide relief for an upset stomach. Place the cantaloupe, vanilla, cinnamon, raw honey and ice in a blender and blend until smooth. These potato nests provide a fun, innovative, and truly delicious way to get some of the most powerfully healing foods available into your diet. The combination of fresh, juicy, and creamy spinach salad with the hot potato nests makes for a wonderful blend of flavors, textures, and temperatures. This recipe would be fantastic to serve at family gatherings and parties and the recipe can easily be varied to create a number of different salad fillings to please all members of your family, including children. Frequently labeled as a “white” food that’s devoid of nutrition, potatoes are actually one of the most powerful anti-viral foods. High in lysine, they also contain tyrosine, a chemical needed to produce thyroid hormones. Potatoes will be your allies if you’re looking to fight any chronic illness—to fend off liver disease, strengthen your kidneys, soothe your nerves and digestive tract, and reverse Crohn’s, colitis, IBS, or peptic ulcers. In addition to being antiviral, they’re antifungal and antibacterial, with nutritional cofactors and coenzymes plus bioactive compounds to keep you healthy and assist you with stress. Further, potatoes are brain food that helps keep you grounded and centered. Spinach creates an alkaline environment in the body and provides highly absorbable micronutrients to the nervous system. Spinach binds onto and removes the jelly-like viral waste matter in the liver that can contribute to mystery weight gain and mystery heart flutters. It’s also specially good at rejuvenating skin and turning around conditions such as eczema and psoriasis. Cilantro is a miracle worker for EBV and other viruses. It is critical for binding onto the toxic heavy metals such as mercury and lead that feed the virus. It also binds onto the EBV neurotoxins that, when loose in your system, can cause tingles and numbness, aches and pains, inflammation, depression, and anxiety. Preheat oven to 350F. Grate the potato and place it in a bowl with cassava flour, salt and pepper. Mix well. Line a 6 or 12 muffin tin with squares of parchment paper and press the mixture in tightly, making an indentation in the middle. This makes about 12-16 nests. Bake for 30-45 minutes, until the sides have browned and the nest is holding shape. While the nests are cooking, make the salad by combining all the ingredients in a bowl and mixing well. Remove potato nests from tin and top with salad. Serve immediately.